Now Rick and Peter will both be featured on August 31st at the Chicago Rockin’ Lobster Bash hosted by Supreme Lobster Co. and WXRT. Peter Mars is the exclusive artist of the event, alongside 30 Award Winning Chefs and Mixologists plus a circus side show of aerialists and fire dancers. This year's roster is the best yet with multiple Michelin Stars and James Beard Winners, including Rick Bayless, Ryan McCaskey, Jimmy Bannos Jr., Sarah Jordan, Ashlee Aubin, Jared Wentworth, and Matt Troost, just to name a few. Peter Mars has curated a visual feast to match the 30 lobster-themed dishes. Walk into the 30,000 square foot warehouse space that makes up the Revel Fulton Market and you will find yourself immersed into the world of Peter Mars. 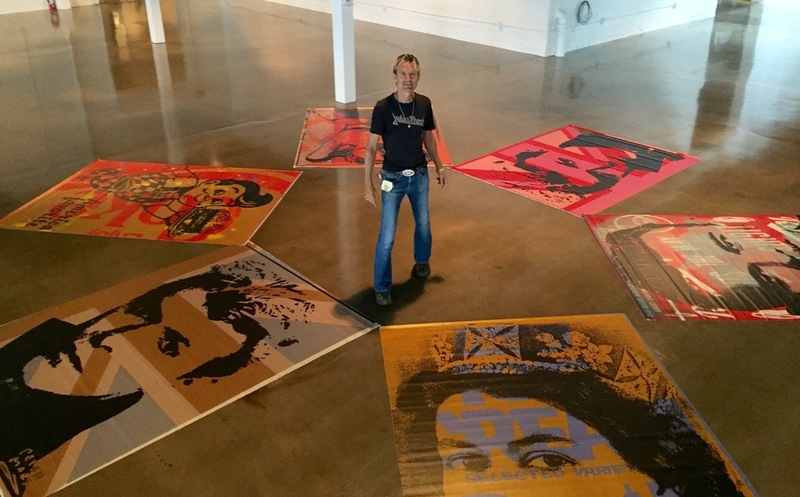 The entire Revel space will be decorated with gigantic banners and ceiling parachutes inked with Peter's pop art. Take in the bright hues of orange, red, yellow, and blue that comprise artworks of Queen Elizabeth, David Bowie, and other classic pop iconography. Peter Mars has been the leader of Chicago’s avant pop movement for over two decades as his prominence and influence continues to grow around the country, from Taglialatella Galleries in NYC down to Art Basel in Miami Beach. But for now, Peter is excited to offer a glimpse into his world right here in Chicago. General admission tickets are still available, and can be purchased at the link provided below. If you can't make it to the event, you can always get a visual sample of Peter’s pop art by visiting Mars Gallery located at 1139 W Fulton Market in Chicago's West Loop.